I am an artist & crafter, wanting to share my artwork, projects, tips and more. I mainly work in acrylics and colored pencils, but dabble in other media just for fun. My artistic motivation comes from the ocean. 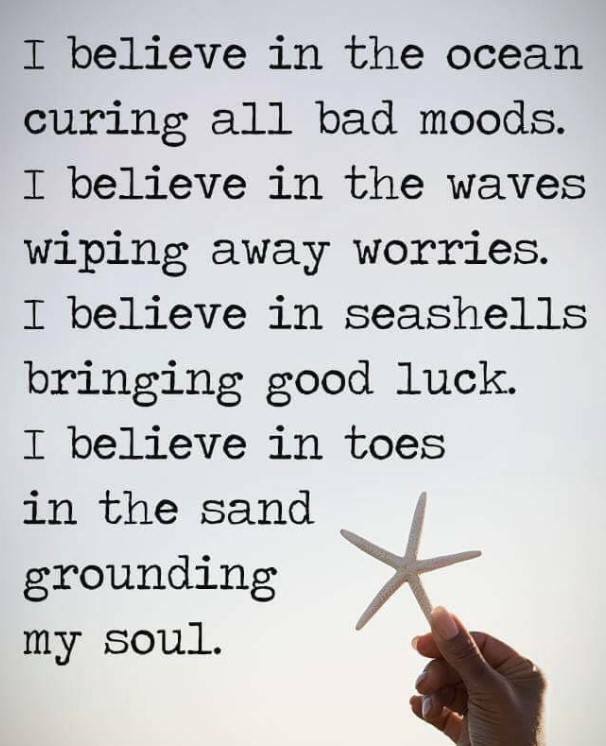 I find peace and comfort from the waves and the natural sounds created by the ocean and all the sea and beach life. It's my form of meditation. Art gives me that same feeling. One of my dreams/goals is to have a seaside home and creative space, allowing me to stay motivated every day. In the meantime, I have a view of the water which I am thankful for daily. If interested, I am also on Facebook and Pinterest. Thank you for viewing my first of many stories/blogs. My hope is to help everybody find value in themselves through my words here. I appreciate your Upvotes, and any tips you may have in helping a minnow become a whale in this endeavor. Please follow me and I will do likewise. Congratulations @starfishbailey! You have received a personal award! Welcome to Steemit! I'm glad to see you getting involved here and joining in. I hope your experience here is pleasant! Welcome to Steemit. I believe you will enjoy your stay here and bring more creativity to this community. Feel free to make friends. Much love from me. Welcome Sandy! I'm looking forward to hearing more of what you create. I'm also an artist and enjoy some crafts as well. Following! Welcome to Steemit @starfishbailey. I am Following, Upvoted your post and Resteemed your post. Stay Strong, Press On and Charge the Hill!